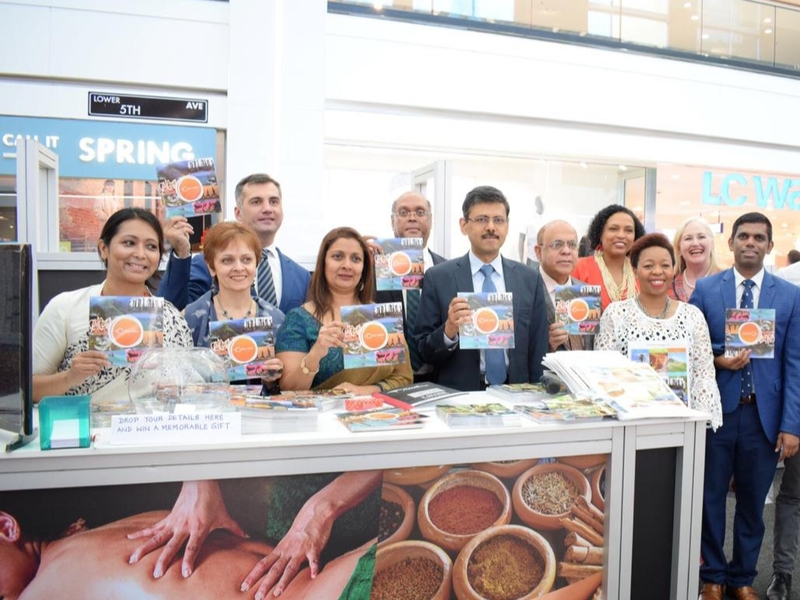 Sri Lanka High Commission in Pretoria with the support of the Sri Lanka Tourism Promotion Bureau organized "So Sri Lanka” Tourism Exhibition at Aviary Court in Menlyn Shopping Mall from 20th to 25th March 2019. It was the first ever Sri Lanka Tourism Promotional Campaign that took place in South Africa. Menlyn Shopping Mall is the largest shopping mall in the African Continent, which records 1.4m foot counts a month. The Embassy of Sri Lanka in the Republic of Korea in collaboration with the Board of Investment (BOI) of Sri Lanka held an Investment Promotion Programme in Seoul from 19 - 22 February 2019, under the Economic Diplomacy Programme of the Ministry of Foreign Affairs of Sri Lanka. The programme included an Investment Promotional Forum titled “Investment Climate and Business Opportunities in Sri Lanka” which was jointly organised by the Korea Chamber of Commerce and Industry (KCCI) and the Sri Lanka Embassy on 19 February 2019. KCCI is Korea’s largest private economic organization that encompasses 71 regional chambers and approximately 160,000 members covering all the sections of the Korean economy.